For most, the Bavarian city of Munich brings to mind the packed-out beer tents of Oktoberfest, but there’s so much more bubbling away here. The main railway station has links all across Germany, so it’s easy to stop by for a few hours between connections. We’ve rounded up a few sites for when you’re just passing through. Chocoholic? Find your own piece of heaven in Chokoin Credit: Chokoin/​DanielSchvarcz. If you’re on a flying visit to Munich then food is the ideal souvenir, and there’s only one place to go for the best chocolate in town: Chokoin. 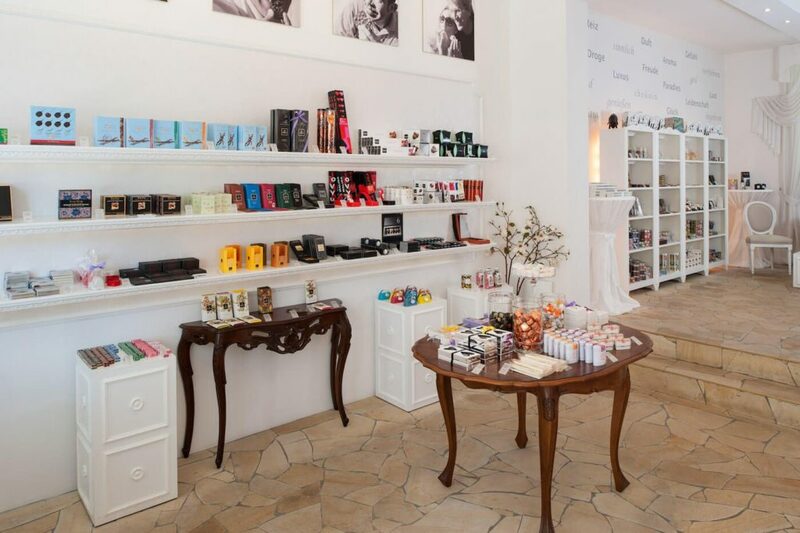 From Munich’s central train station, hop on the U-bahn to Josephplatz then walk north east to Nordendstraße to find this chic chocolaterie. It’s billed as a ​‘gallery’ rather than a shop; gourmet treats are presented against pristine white walls, with Baroque-style furniture adding a lavish romantic touch. Spend a little time relaxing with a cup of decadent hot chocolate in the on-site café, if you have a few moments to spare. If not, sample Chokoin’s petite handmade treats and take a selection home (if they make it that far). Stop by for some Kaffee und Kuchen at Café Luitpold. Credit: flickr/​digital cat. One side of Café Luitpold is surrounded by traditional dark wood and potted plants, underneath an enormous domed class ceiling. The other has simple and slick furniture, but Roman-style columns and moulding make it feel like an ancient temple. 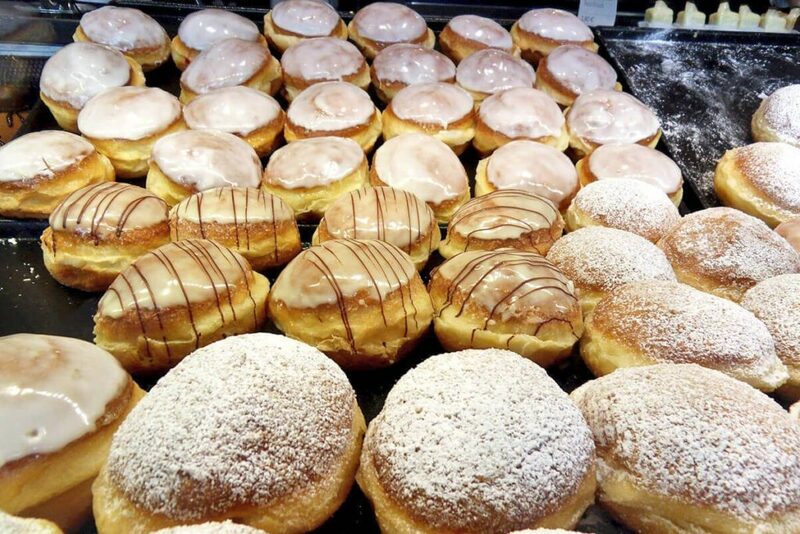 No wonder it’s a Munich institution – how could anyone resist such elegance? There’s a full dining menu if you’ve got time to sit and ruminate, but coffee and cakes (Kaffee und Kuchen) is the best thing to order. Pick out your favourite sweet delight from the display cases by the counter, and watch the world go by in some seriously stylish surroundings. 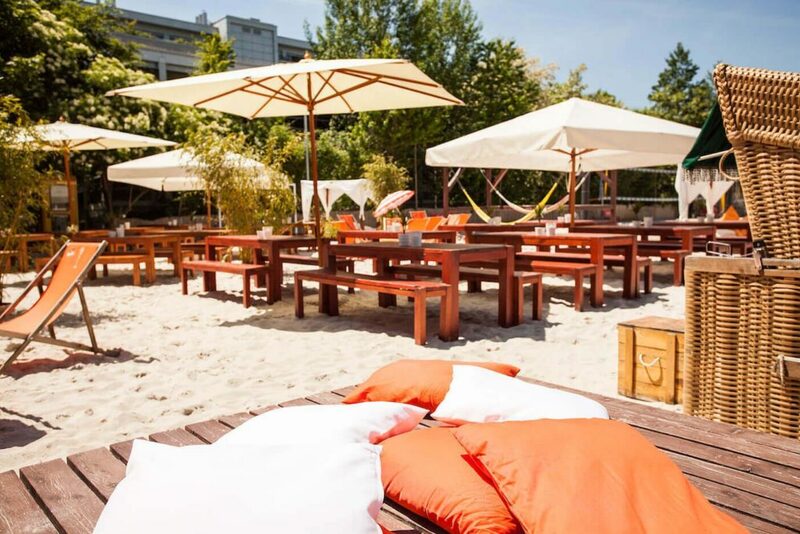 Soak up some sun at Beach 38º Outdoorbeach. Credit: Beach 38º. Is it summer? Great – rub on some sun cream and pull up a deckchair outside Beach 38. Is it winter? Never fear – the indoor beach hall at this bar comes complete with sand, volleyball courts and a tiki bar, so you’ll feel like you’re on holiday no matter the time of year. Visitors in the mood for food can grab a special from the kitchen, inspired by flavours from staff members’ favourite getaways. If it’s later on in the evening, the cocktails are a must-try. The Beach 38 Spritz is a signature drink, mixing white wine and soda water with mint, mango syrup and kumquats for the taste of sunshine in a glass. Wander through Riemer Park Credit: flickr/​La Citta Vita. Take the S-bahn to Gronsdorf from the main train station and walk north until you hit one of Munich’s best kept secrets: Riemer Park. 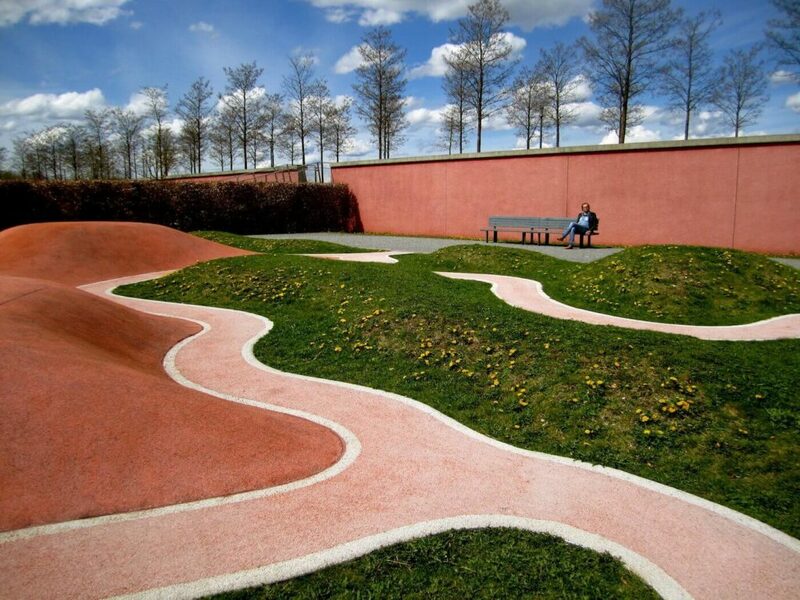 130 hectares of greenery and charmingly odd landscape design await you at what was previously site of the old Munich-Riem airport. The perfectly flat land tricks the eye, blending into the Alps on the horizon, and making the geometrically-patterned park feel even larger. But the highlight is the well-maintained beach, which locals flock to in the summer. The small lake’s sandy shoreline is incredibly popular, and with good reason – chilling out next to the water, you’ll feel a world away from the hustle and bustle of the city centre. Squeeze in time to visit the Deutsches Musueum Credit: flickr/​Maximilian Salomon. A riverside walk is the easiest way to see many of Munich’s highlights, and stretch your legs to boot. So if you want to experience the city and feel like some fresh air, just follow the meandering Isar through the middle of town. Head down to Flaucher Park from the central train station, then begin your walk back up through the city centre. 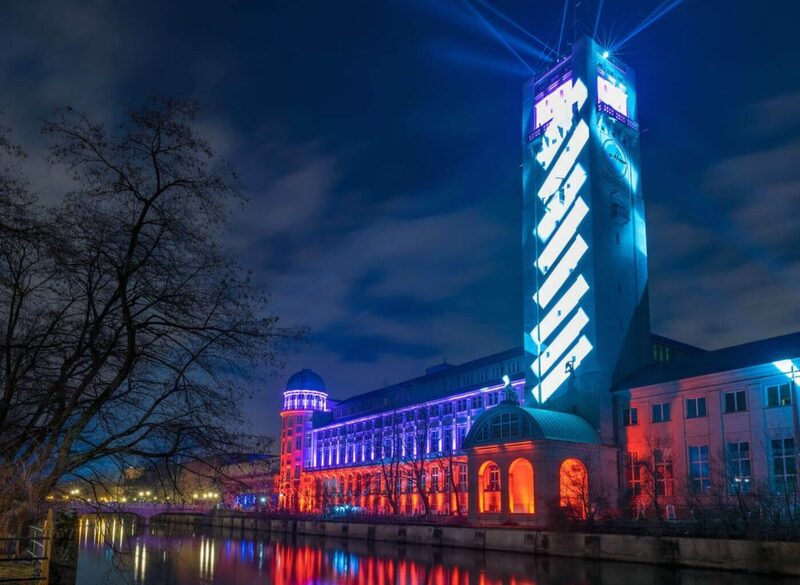 Make sure to visit the Deutsches Museum, nestled on a small island in the middle of the Isar. It’s easy to reach from Flaucher in around half an hour, and it’s stuffed full of science and technology exhibits. On the west side of the river lies the iconic St Lukas church, a domed neo-gothic beauty. And not much further north, in Maximiliansanlagen Park on the east bank, are the seat of the Bavarian State Parliament and the poignant Angel of Peace monument. Be sure to snap some pictures as you go – nobody will ever guess you were only on Munich for an afternoon.